Well, that was a first for me. All my gaming for the past 30 years has been around a table, passing books and dice around and quickly and easily explaining character generation, rules and combat. Minis and counters guided our encounters and banter was easy and flowing. Not so in the internet. A slow connection and a dicey computer almost destroyed any interest I had in gaming over the web. Let me explain what's happening here. Recently my wife joined the International Geek Girl Pen Pals Club and met some very nice people there. They swapped letters and it was decided that everyone wanted to try D&D, and my wife, bless her Jayne hat, volunteered me as DM. 'Okay' I thought, 'I'll give it a go'. After purchasing a webcam and settling down at my computer with the basic D&D books we got started on Google+ and I began by introducing the game. But disaster struck. Slow connection. A dodgy PC that wouldn't keep up. A constant echo in the headphones that annoyed me and a stop-and-start nightmare that stalled everything. After a long period of slow, confusing character creation in which almost nothing happened I looked at Lisa with a pained expression. 'I don't want to do this anymore', I said. After a few more moments I finally dumped my machine altogether and used Lisa's laptop. The character creation finally began. And what a wonderful session it was. We could finally talk in virtual realtime, we went through the classes bit by bit and I simply read out the numbers and told them where to put them, questions were asked, concerns were raised and characters were created. I mapped out the world I wanted to use - original Forgotten Realms - and explained the kind of game I was going to run. As it was an online game there would be combat but not extremely tactical as we had no combat mat or minis we could move around effectively. I would concentrate more on plot than on rolls as the dice rolling would get in the way, no doubt. Overall I wanted to make the game story driven as the limitations of the internet, the fact that we weren't all standing around a gaming table, would severely hinder combat and mapped exploration. But most of all, what I took away from all of this, was simply how much fun I had once the computer problem had been sorted. I was talking and interacting with friendly, funny and simply nice people and it was relaxed, fun and quite sincere. We were all there for the game but also to meet fellow nerds who enjoy geek stuff. I had one of the best times I've ever had in the roleplaying hobby and these people were thousands of miles away. And do you know what?That really irked me. It irked me that these people who I just spent a couple of hours gaming with don't live around the corner, weren't sat at the same table as me or are available for a quick call or a coffee so that we can talk about character backgrounds or adventure ideas. Because I've just tasted live international internet none-MMO roleplaying and I want more, damn your eyes! 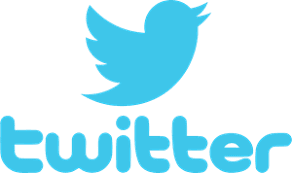 And I demand that 'twatter' is added to the dictionary! After 56 pages and almost 24 thousand words I'm close to finishing the playtest version of the game. I've copied across a lot of the original rules and I've been through it twice and I'm still seeing gaps and changes to be made. Not only that my head keeps filling with rules variants that I'd like to put in, but I'm refraining as I don't want to complicate the game and I also don't want to get sidetracked. It was my intention to have begun writing the setting by now but the rules really have taken longer than I thought they would. Right now I just need to get combat and starships down as I'm still hand-wringing about certain aspects, such as ship design and ranged combat. I'll use what the original gamebooks give me for now and take it from there. I can make adjustments as I playtest. As far as the setting is concerned I'm taking a step back to the science fiction of the 1970s and 1980s and using it for inspiration. I don't want to get bogged down by design and technobabble; I don't really care how something works, it just does. I want to keep it simple and easy and make sure that the primary thing is the adventure, not the window dressing. Each gaming group will have their own idea of how a game will look and feel, they'll have their own ideas of design and aesthetic, and the rulebook - even the setting - shouldn't dictate any of that. I shouldn't concern myself about any of that right now. I need to get these rules finished! 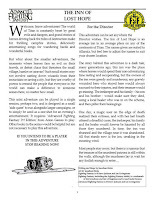 The Greyhawk Basic D&D campaign is having a break at the moment as the excellent GM recharges his batteries, so for the next few weeks the game is being run by regular player Rich. He's decided to do a Hulks and Horrors game. It's an adventurous dungeon crawl game, substituting ruins for starwrecks, tombs for asteroids, long lost lands for unexplored worlds. It's a great little system and as Rich knows Basic D&D the perfect choice for him. Now, Rich hasn't run many games - in fact, as far as I'm aware, you can count the games he's run on one hand - and I've never played in one of his games and he's never run one for us. To be honest, you wouldn't have noticed. If ever I've seen someone slip into the GMs role naturally it was Rich. He kept the story going, allowed us free choice, didn't get flustered and rode the 'players are taking the piss' waves well. He'd obviously made sure that he'd covered the rules so that he didn't have worry about them and just got on with the actual game. I've gamed with many first-time GMs and had a horrendous time. You can forgive any of them initially because it's their first time, or they've not done it much, and they're understandably nervous and inexperienced - running a game can be quite daunting at times, even for seasoned gamers. Some you can see will only get better while others... well, there are others that simply aren't cut out for it. Even the best players make lousy GMs. Rich, I think, has started out really well and looks to only get better. The next few weeks will really tell but right now I'm enjoying his game. 'We are not alone in the Universe, but we have few friends. As we emerged on the galactic stage, we found a universe stripped bare of sentient life by a great Plague, leaving only the wild beasts and twisted plague horrors wandering the ruined hulks of lost civilizations. 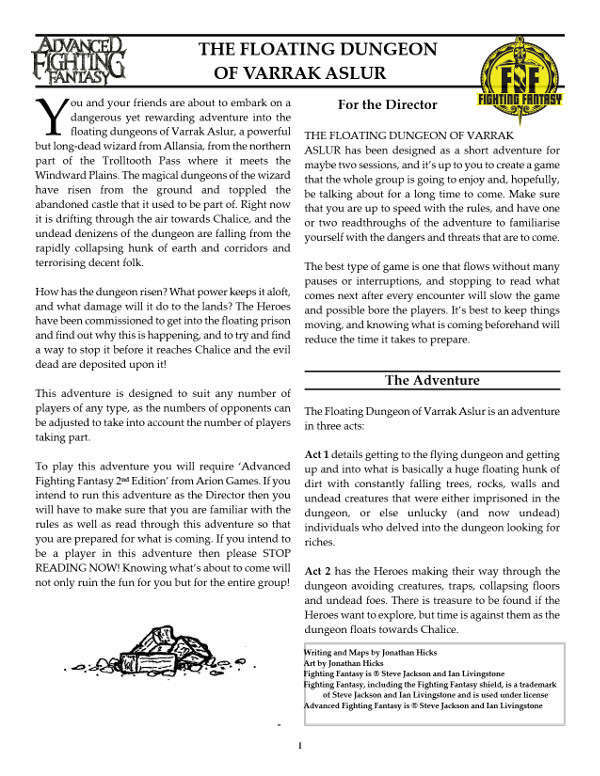 This is a quick snippet from my book 'The Book of Roleplaying Hints, Tips and Ideas', available from DrivethruRPG and on Kindle (see the right hand sidebar). 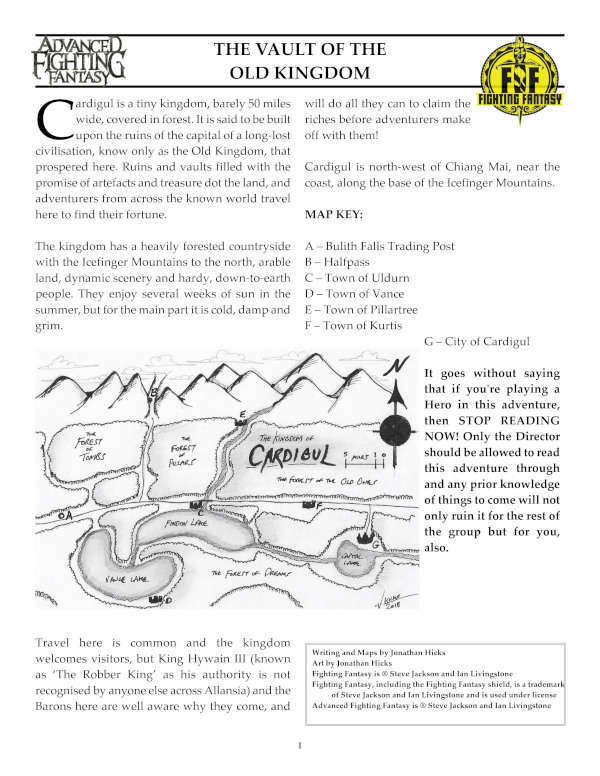 LICHFIELD UK, 11th April 2013: Release of 'The Book Of Roleplaying Hints, Tips and Ideas' on DrivethruRPG. 'I've been writing articles about the roleplaying hobby for the last couple of decades and they've appeared in online magazines, on websites and on blogs. I thought I'd get them all together and release them as an e-book as e-books seem to be the way forward and they're quick, easy and accessible. 1. WHOSE SIDE ARE YOU ON, ANYWAY? - What makes Gamesmasters act the way they do? Jonathan Hicks would like to know, but he can't be bothered to get involved with all that psychological rubbish. Let's have a look at some of the more common styles of refereeing instead. It’s much more fun. 2. PING! WHAT A GREAT IDEA! - If you're a veteran roleplayer, then you probably know the problem of coming up with new and interesting ideas. If you're new to gaming, then you'll need inspiration. Jonathan Hicks looks at ways to get those creative juices flowing. 3. THE QUEST FOR THE GOLDEN GROUP - There are quite a few roleplaying groups out there. Which type are you most suited to? 4. WELL, WE`VE ALL GOT OUR PROBLEMS - Campaign going down the pan? Players not interested anymore? Running out of ideas? Games lost their sparkle? Here are some hints. 5. HE'S THE INVISIBLE MAN... - `What do you mean you can't come?!?' This is a common expression of the GM when a player can't make it to the game. What, then, is a GM supposed to do? 6. ROAD TO RUIN - How to be an annoying player. 7. CREATING INTERESTING NPCs – The title says it all. 8. THREAT ASSESSMENT - How to make your bad guys more realistic. 9. BACK FOR MORE - Writing stories that keep the players attending your games. 10. ON LOCATION - Improving the gaming atmosphere. 11. KEEPING YOUR COOL - Have you ever had those times when, during a game, you just want to go mad because of what your players are doing? 12. PLAYED TO DEATH - Let’s take a look at the sobering subject of character death in roleplaying games. 13. THANK YOU FOR THE MUSIC - How music can improve the atmosphere of a roleplay session. 14. WING AND MILK - Or - How to run a game without really trying. 15. FOURTEEN ELEMENTS OF STARSHIP DESIGN FOR SCI-FI GAMERS – Designing a starship that suits you, your gamers and your games. 17. MASS COMBAT - Dealing with Large Scale Battles in roleplaying games. 18. PREPARATION IS THE KEY - Getting ready for that all-important game. 19. CREATING A SETTING WITH DEPTH – Want to make your fantastic locations more memorable to the players? 20. 8 GAME ETIQUETTE TIPS – Simple things to remember so that your games run smoother. 21. TIPS ON GENERATING SCI-FI LOCATIONS - We've all experienced the thrill of space exploration through science fiction movies, books and other media. We've seen some amazing things, from imagination and from deep- space pictures. How can you inject some of that wondrousness into your own Sci-Fi locations? 22. CREATING BASIC CHARACTER PERSONALITIES - In this article, I hope to give you some ideas on motivation based on upbringing, and give a few ideas on what to consider before deciding why a character, NPC and PC, is disposed to act a certain way. It may help to add more depth to the game as whole personalities are revealed, and it helps open up more role-playing opportunities as players start to question their own motives. 24. 7 TIPS ON CREATING MOMENTS OF HIGH DRAMA- So, what am I talking about here? Well, what if you could insert these emotionally dramatic moments into a scenario or campaign and make the players do two things: Throw a shocking revelation into the works that forces the players to rethink the direction of the game. Give the players something to sink their roleplaying teeth into instead of the next puzzle or threat. The emotional shock of a sudden revelation or an unexpected incident during a campaign can heighten emotion and make quite an impression on the players. 25. RUNNING A SCI-FI SETTING WELL: 8 TIPS FOR NEWBIE GMs - The most difficult problem is if the players aren't getting 'into' the setting. GMs might look across the table at any time and see one or two of the players (and in the most extreme cases, all of them) looking a little bored or lost. This might have something to do with the way things are progressing or because they can't get a feel for the game. I've included nine ways a sci-fi GM can enhance and colourfully portray their game's setting. 26. QUICK-START SCI-FI RPG TIPS FOR NEWBIES- Never done any Science Fiction gaming before? Are you a Fantasy fan and fancy a change of scenery? Here are a few handy quick-start tips to make the transition smoother. 27. MODERN GAMIMNG TIPS - A lot of gamers want to game in the fantastical, but gaming in a contemporary setting is a mirror of real life, so you have to ask the question - what's the point? I've combated that by placing the players in a setting they hardly know from experience, such as a Vietnam game and special ops in South America. Removing the players as far as possible from their real life environment can be as effective as placing them in a fantasy world. 28. 6 TIPS ON HOW TO BRING DISPARATE CHARACTERS TOGETHER - Games and campaigns revolve around a core group of player characters all working together to either complete their own agendas or a larger quest. Usually, when the players are creating their group, they share out careers, abilities, and skills to make a balanced bunch of PCs who can handle almost every eventuality thrown at them by the GM. However, this may not always be the case. 29. 5 TIPS ON USING DREAMS IN AN ADVENTURE - It is said that dreams are an indication of the subconcious thoughts and feelings of the individual (there are plenty of books on how to interpret dreams in circulation) that are given form in the subconscious. There is also a supernatural quality to dreams and nightmares that has been addressed in many writings as views of possible futures - and this is what makes them great as a role-playing tool. Published twice by the British Science Fiction Association in their writer's magazine 'FOCUS'. 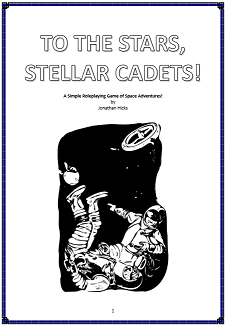 Designed the missions and wrote the dialogue for a computer game of Universal's new Battlestar Galactica, Designed the simple game system 'SKETCH' and created 'Farsight Games' to promote this simple, easy to run rules light game. Designed and wrote 9 SKETCH games, both new settings and established ones (in an unofficial capacity). 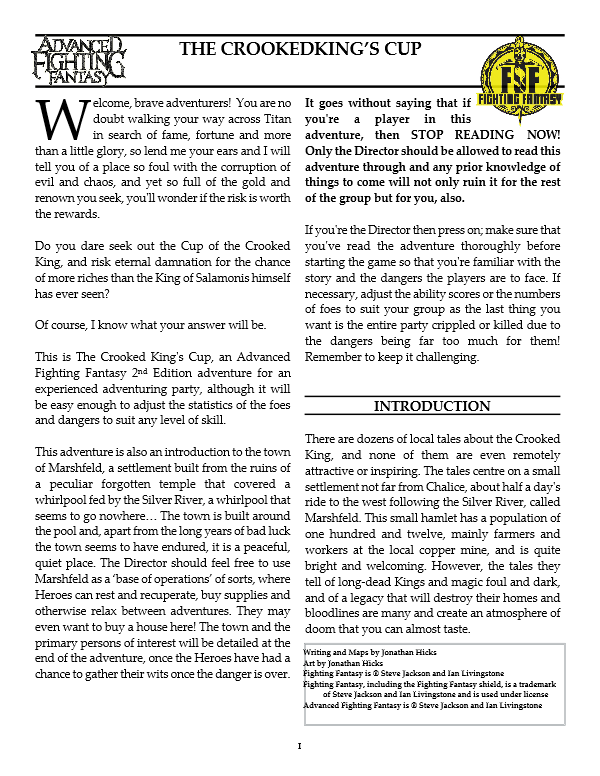 Wrote for and edited 9 issues of 'ODDS: The Tabletop Roleplaying E-Magazine', and interviewed RPG industry notables such as Bill Coffin and Eric Gibson. 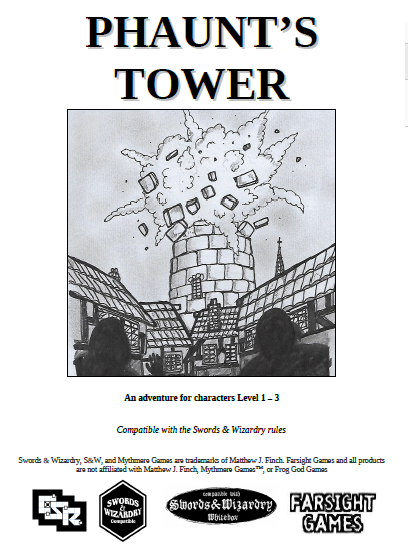 Reviewer for the tabletop gaming hobby, with reviews featured on own blog Farsight Blogger as well as rpg.net. therpgsite.com and ukroleplayers.com. Now that I've got the majority of the rules written down I'm concentrating a bit more on the setting itself. I've decided on an amalgamation of ideas taken from the gamebooks (and sorry, 'Appointment with F.E.A.R' fans, I might not be able to fit that book in!) and put them all together in one campaign sandbox. I'll need to figure out some details, such as how a post-apocalyptic Earth ('Freeway Fighter') and a world where dinosaurs are herded by giant mecha ('Robot Commando') exist in the same universe, but I'm hoping that the setting I've come up with works. It's not like the game is designed specifically for the setting I'm creating, mind you; if you want to run your games on Kether or wherever, then go right ahead and do so. I don't intend to cater for those settings specifically but I will have their core idea in the overall setting in the book along with plenty of monsters and mutants directly from the original pages. So, right now it's write write write. I'm fitting the pieces together, then I'll write it all up neatly. LICHFIELD UK, 5th April 2013: Jonathan Hicks announces release of 'The Book Of Roleplaying Hints, Tips and Ideas' on Kindle. 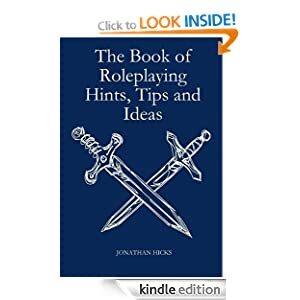 Jonathan said: 'I've been writing articles about the roleplaying hobby for the last couple of decades and they've appeared in online magazines, on websites and on blogs. I thought I'd get them all together and release them as a Kindle book as e-books seem to be the way forward and Kindle is quick, easy and accessible. I've made some of my earlier work available on Kindle - A Soldier of Rome, Those Dark Places and All Fall Down. All nice and cheap! A SOLDIER OF ROME: After suffering a serious injury during a great battle, a soldier of the Roman Empire struggles with continuing forward with his life. THOSE DARK PLACES: Jonathan Hicks, published twice in the British Science Fiction Association's writer's magazine 'FOCUS' and the mission designer/dialogue writer of the mobile telephone game of acclaimed television show 'Battlestar Galactica', presents twelve short stories about the little people in the big universe. "I grew up with the grandiose science fiction tales, in books and on film, with great galaxy-spanning adventures or life-changing technologies," said Jonathan Hicks. "In this book I concentrate on the 'little guy', the people who work behind the scenes and those who get a less than stellar deal out of the supposed adventure travelling the galaxy and exploring new technologies offers." Click on the 'preview this book' under the cover picture above to find out more about these stories. Contains strong language and some violence. ALL FALL DOWN: VITALS is the story of a man alone on a gigantic generation starship, the ‘Heart’s Endeavour’, looking after thousands of frozen travellers with only an artificial intelligence for company. When the AI manifests itself as a hologram so that the man can interact with it more effectively, the relationship takes an unexpected turn. I DO NOT REMEMBER THE STARS OF OLD is a continuation of the story ‘Geta Huda Sharoon’, a short story included in the book ‘Those Dark Places’ which is reproduced in this publication for clarity. 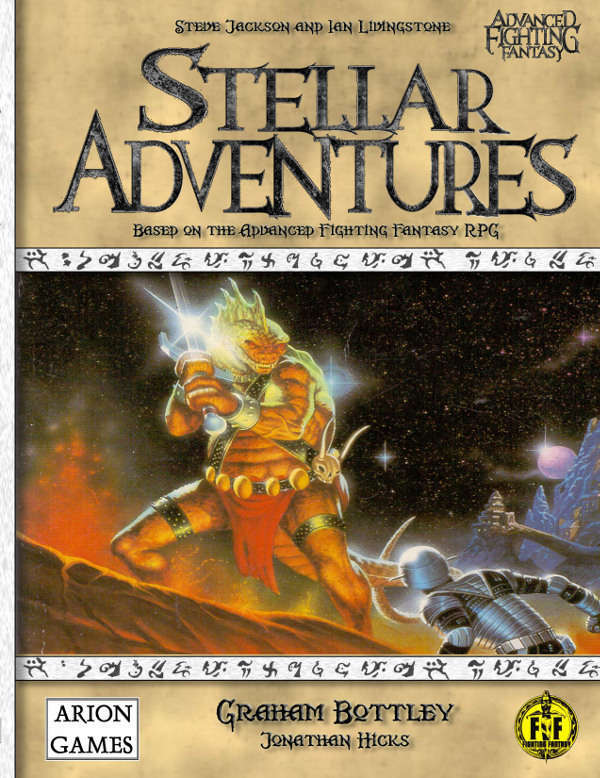 It follows the adventures of Brune, an Ooman despised by all other races trying to find his way through a galaxy that would rather see his kind dead. ALL FALL DOWN is the story of an apparently unimportant battle on an unimportant world. You cannot weep for a future doomed by ignorance.